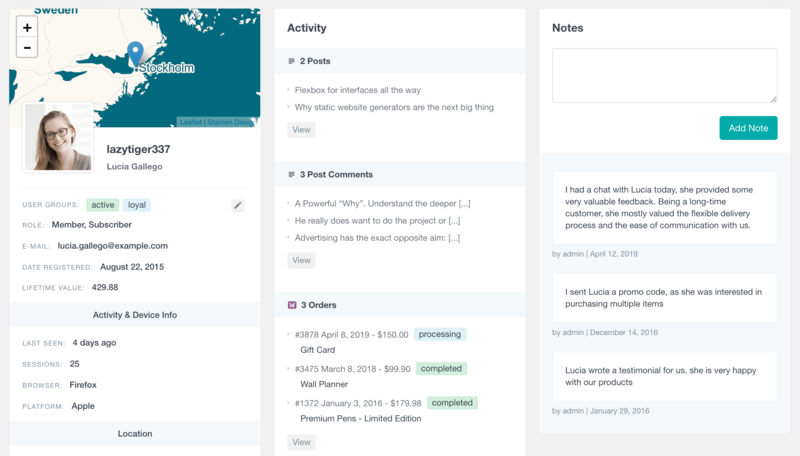 The Users Insights notes feature allows you to add custom notes to each of your WordPress users. The notes are in the form of a short text-based message and you can add as many notes to a user as you like. 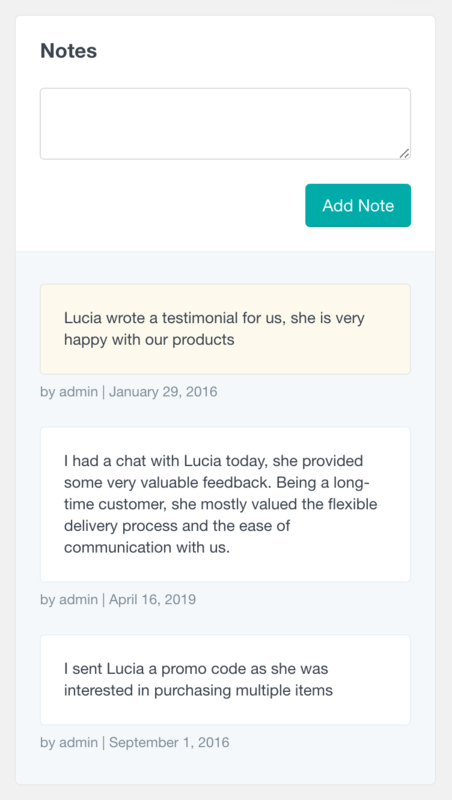 The notes functionality can be used for many different situations and are usually used to write internal information about the users like user preferences, logging phone calls, or documenting conversations with the user. As the number of your WordPress users grows, it can become difficult to keep track of the users actions, especially when multiple people work in a team. 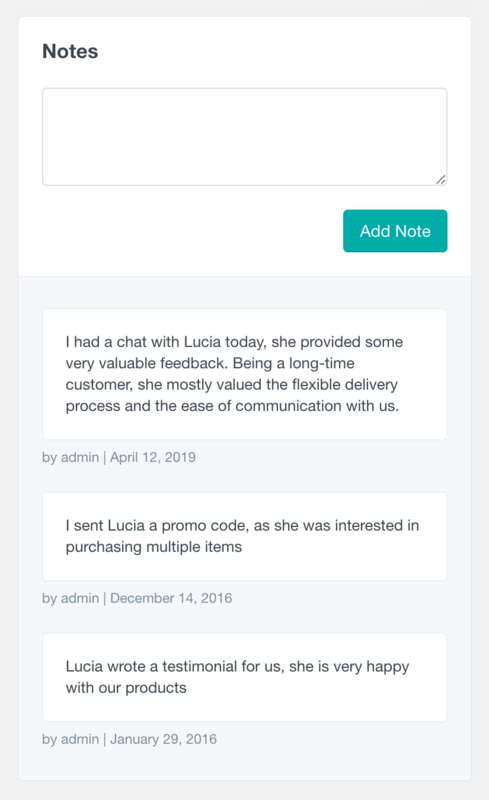 Having the ability to add a custom note about a user interaction can be a very useful tool to keep record for future reference or to simply share this information with the rest of your team. Once the note is added, it is available for the other team members to access it or share it with each other. The notes functionality is designed to be used for internal use only – it can be accessed and managed by the WordPress users that can manage other users, such as administrators. The notes are not visible to the rest of the users with lower capabilities, nor they are visible to the users to whom the notes are assigned. Each of the notes can be also deleted, if they are not valid anymore. The adding and deleting functionality is performed seamlessly with AJAX, without requiring a page refresh. Additionally, sometimes you might need to create notes that are important and must be always easy to notice. In this case, you could use the Sticky notes feature, that allows you to stick a note to the top of the list and highlight it as important. Keeping notes for your users activity can be helpful to better organize your users and keep a record of valuable information about your users. This functionality is another key feature that can allow using Users Insights as a simple CRM system.